Everybody out there has their favourite shoe brand, whether it's the fit, the design or heritage that influences that, a common name that pops up is Converse. These (generally) canvas shoes are seen by most as a staple to their wardrobes yet there are many brands out there that supply a similar product for extremely reasonable prices. 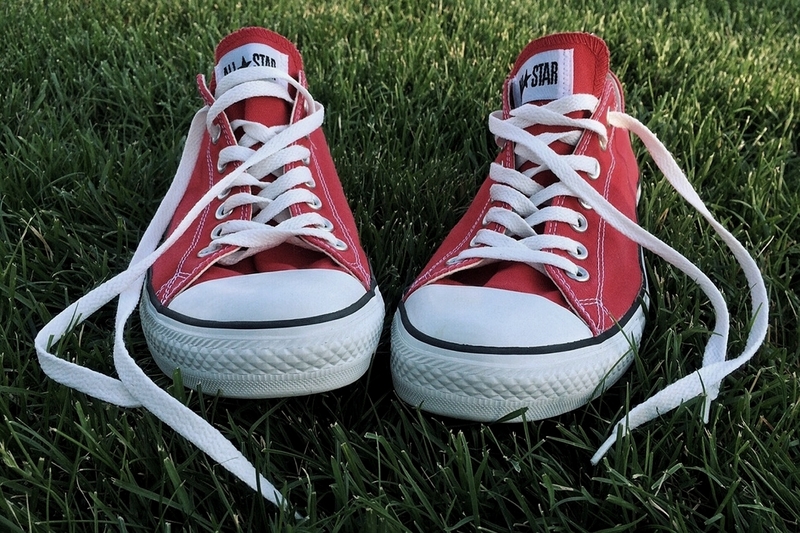 Yes, Converse are good shoes but are we buying them for the logo and branding or the comfort, fit, style and compatibility with our wardrobes. Both brands do gorgeous slip ons and there is very little difference between the shoes apart from stitching and sole colour. This round's a very deserving draw as they really are the same thing. Yes I know Converse's Andy Warhol range is not technically a collaboration, but I'm going with it. 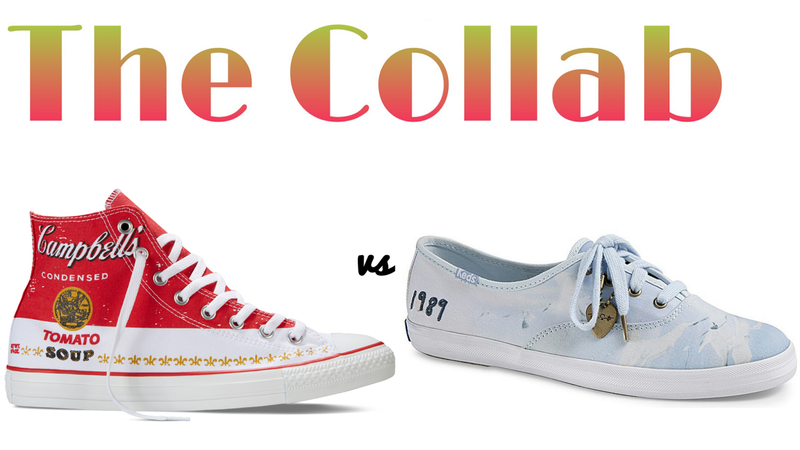 Taylor Swift has a line of Keds and has recently released new designs based on her 1989 album and tour. 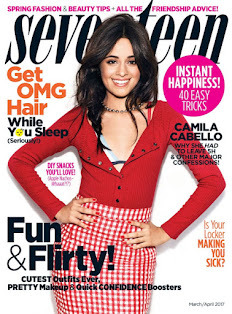 These ones are inspired by her shirt she wore on her album cover. 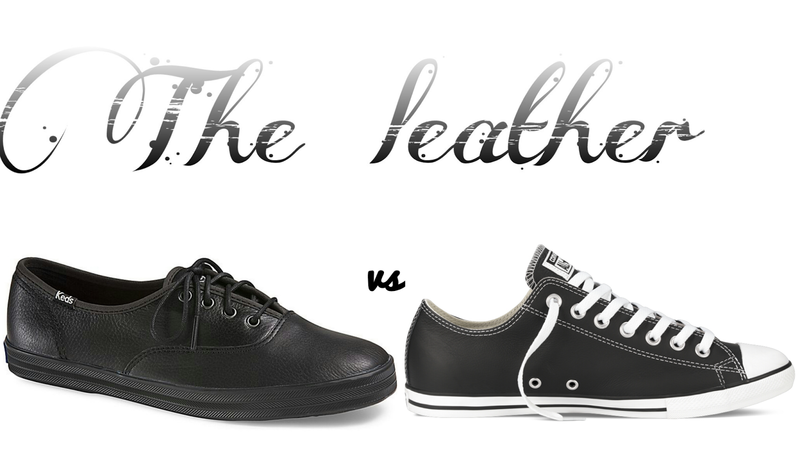 Unlike some of the previously mentioned design the only thing these two have in common is that they are leather. 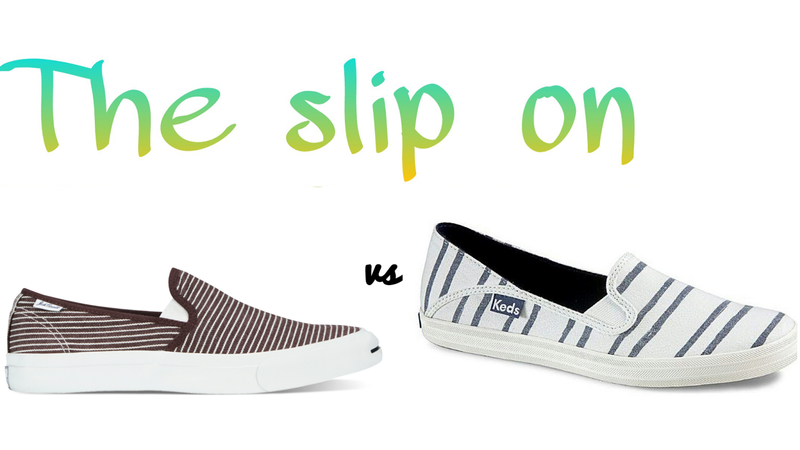 Personally I think the Keds are more versatile as they'd work well as school shoes and for everyday wear. To be honest I was quite surprised to find these and the more I look at them the more I fall in love. 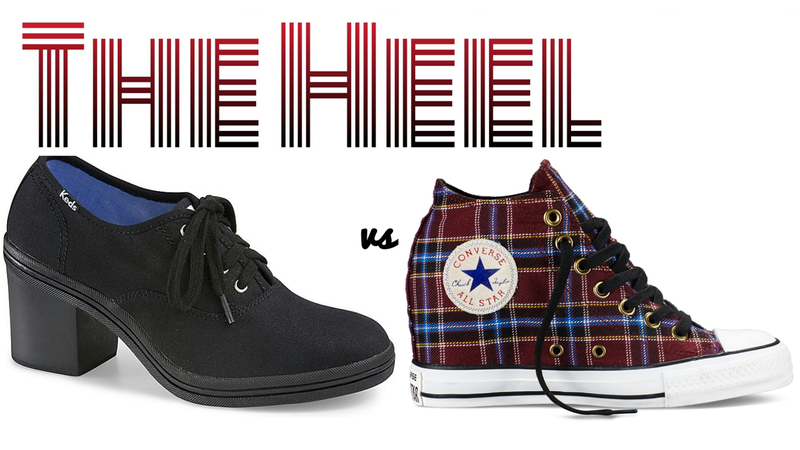 Both brands have incorporated a heel into their classic designs. I'm not sure which I prefer so leave me a comment on who did it best! 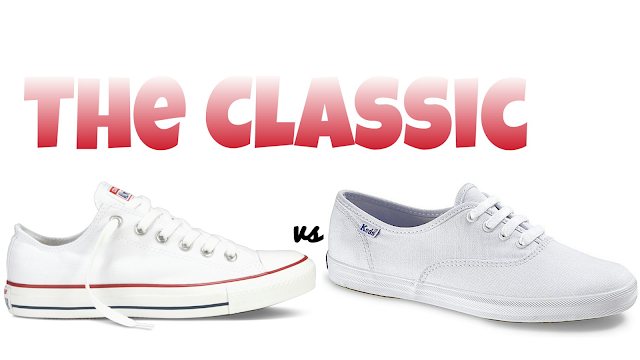 Undoubtedly we would come back to the classic shoe, each special in their own way. The Keds have a more simple design and the Converse built their trademark style from this design and haven't strayed far, this disappoints me in one sense as I have seen much of an adventurous attitude in Converse but is probably the fear of losing trademarks and fans. 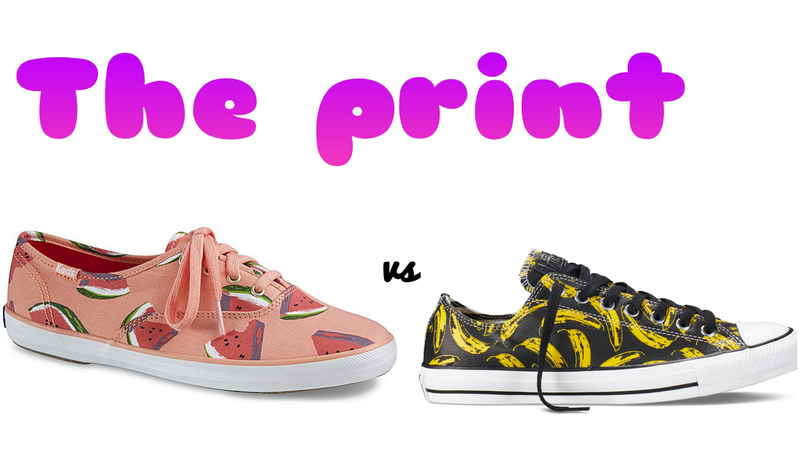 Keds have been around for a long time and I feel as if they are always being put second best. I feel the same about a lot of brands I love (eg. Vans). Most my friends are Converse people but I've never been obsessed with the more popular brands. 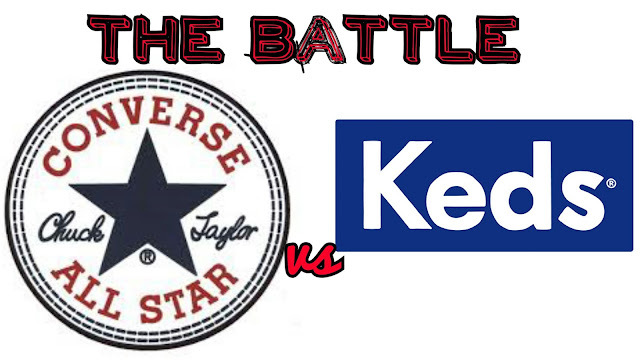 I like Converse but I prefer Keds because of it's simplicity, individuality and creativity. I feel with Keds I can find shoes that depicts my personality. This is not a sponsored post. All opinions are mine!